Tip: For a variation, add a few sprigs or rosemary or thyme into the oil for the last 15 minutes or so. 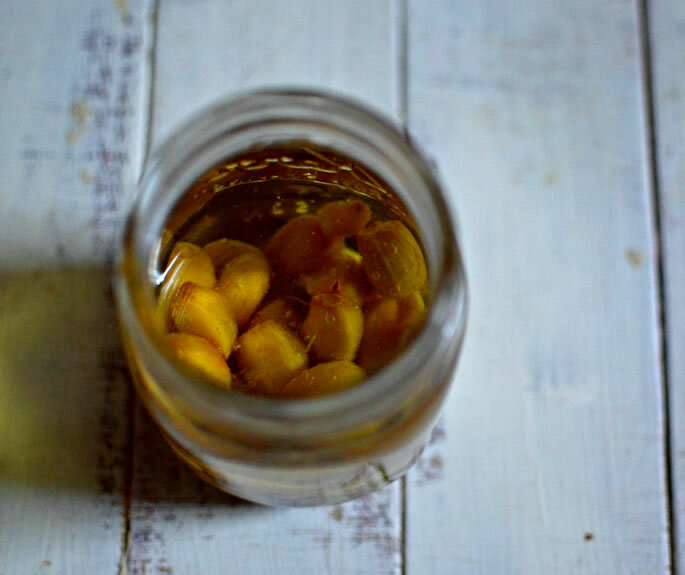 Peel the garlic cloves and place in a saucepan. Cover with olive oil. Cook on the lowest heat for 1 hour. Remove from fire and allow to cool completely. 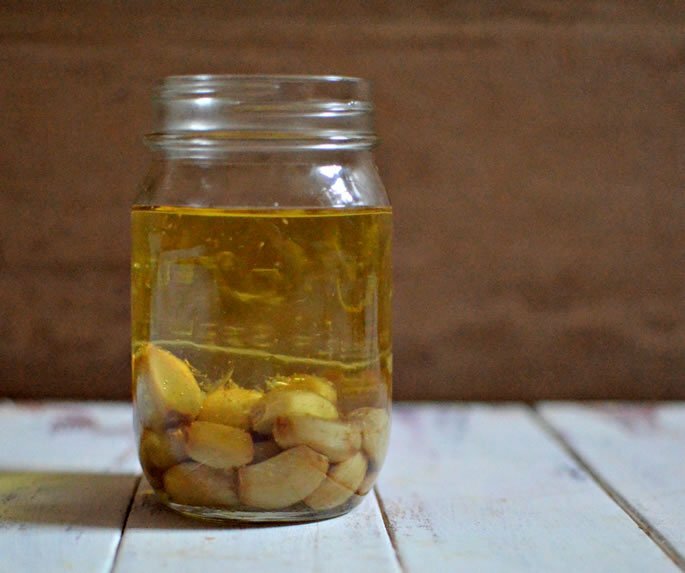 Transfer the garlic and oil to a glass jar. Store in the refrigerator for up to a month.